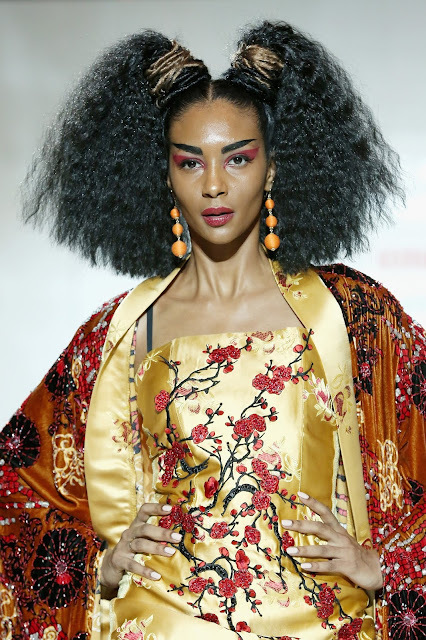 More than 800 media, influencers, VIPs and fashion/beauty enthusiasts packed Gotham Hall to celebrate NaturallyCurly’s signature event Texture on the Runway on Thursday, September 6, kicking off New York Spring 2019 Fashion Week. 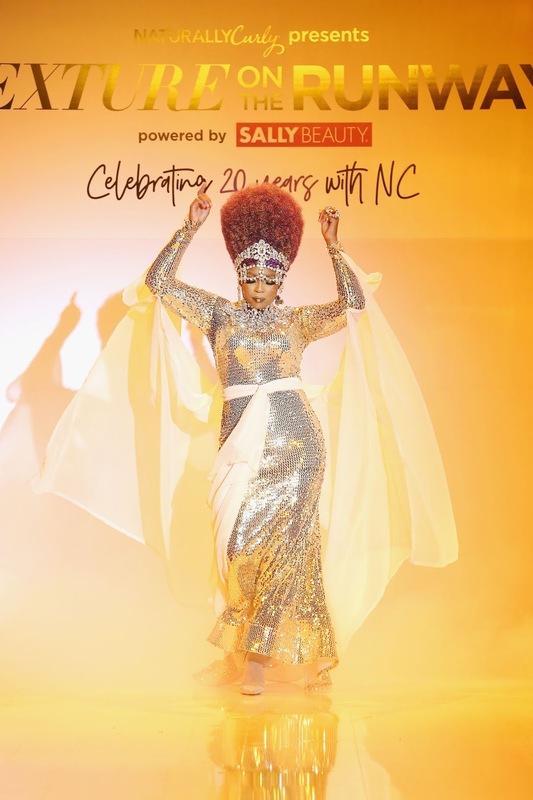 Sally Beauty returned as the retail sponsor for the popular runway show. 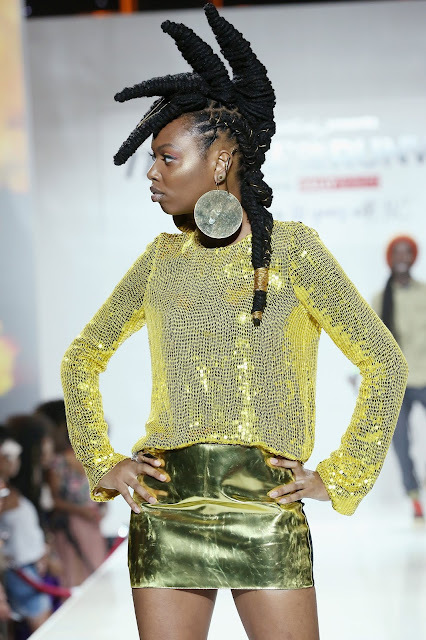 The 2018 Texture on the Runway show was definitely a reflection of the crowd, with impressive braids, dreadlocks, twists, afros and textured curls. 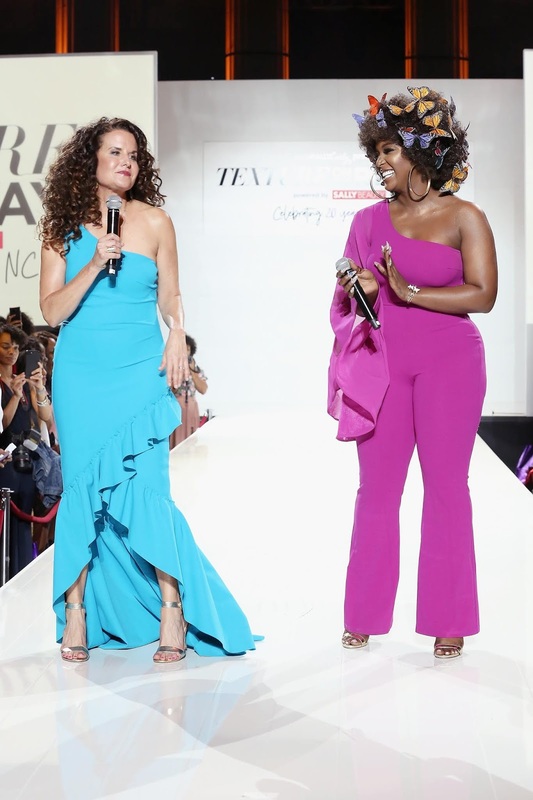 Presenters on the runway were Camille Rose Naturals, Cantu Beauty, Carol’s Daughter, Creme of Nature, Mielle Organics, SheaMoisture and The Mane Choice. 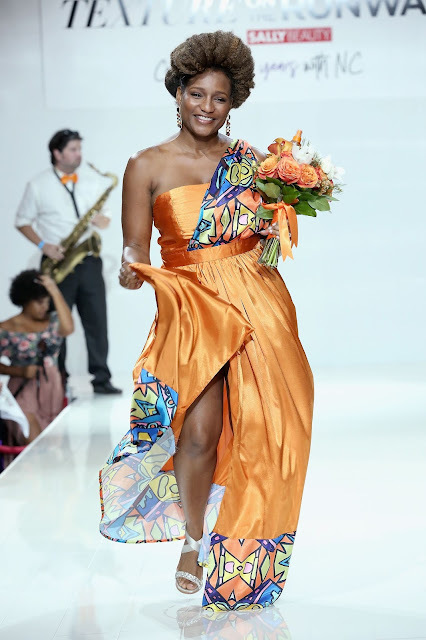 The “Faces of Cantu: Head Over Heels for Texture” presentation showcased textured hairstyles by hairstylist/textured hair expert Maria Antoinette paired with colorful “kaleidoscope of hope” fabrics from textile designer/artist Melissa A. Mitchell of Abeille Creations. Carol’s Daughter co-founder Lisa Price introduced the show by spitting rhymes (!) accompanied by dancers. 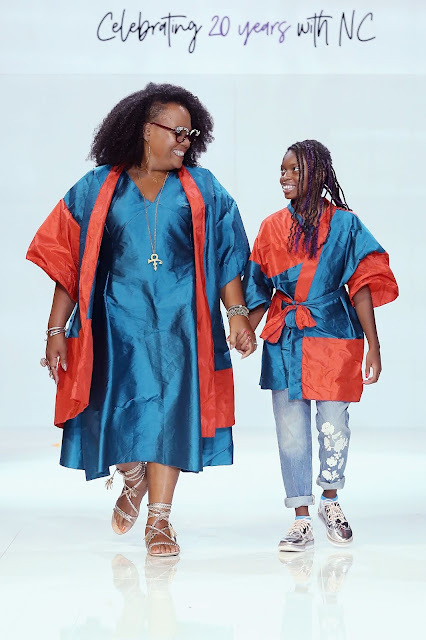 The presentation featured actual mothers and their daughters as models. 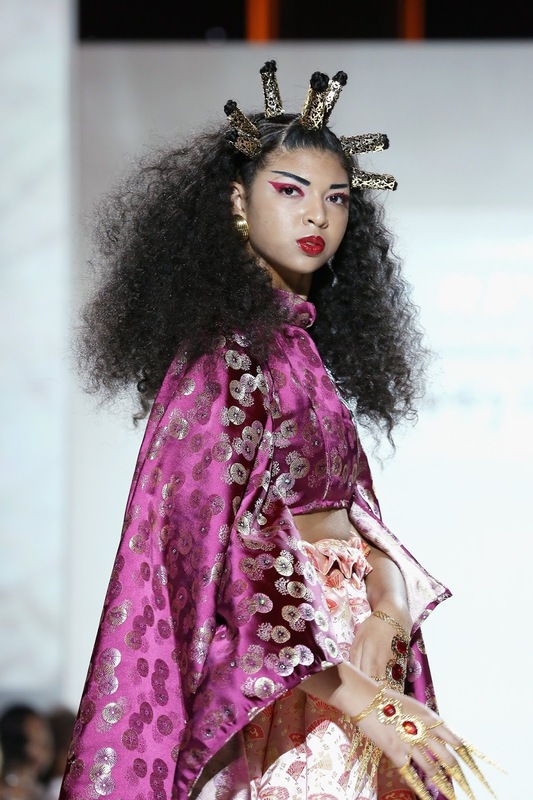 Lead stylists Derick Monroe and Gabrielle Corney used the Pracaxi Nectar style line to create the hairstyles. Creme of Nature proclaimed that they were shifting the culture and redefining the future of universal style and texture with an Afrofuturism runway featuring the “Afro Punk Urban Queen,” wearing fashions by De La Cruz New York and hairstyles by celebrity hairstylist Pekela Riley. 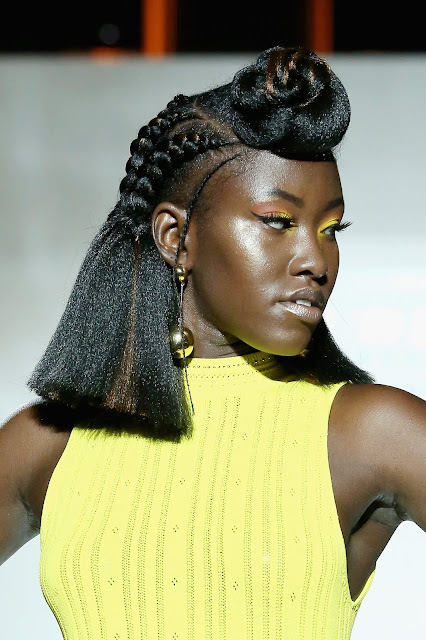 Hairstyles and looks were inspired by the woman warriors of Wakanda. 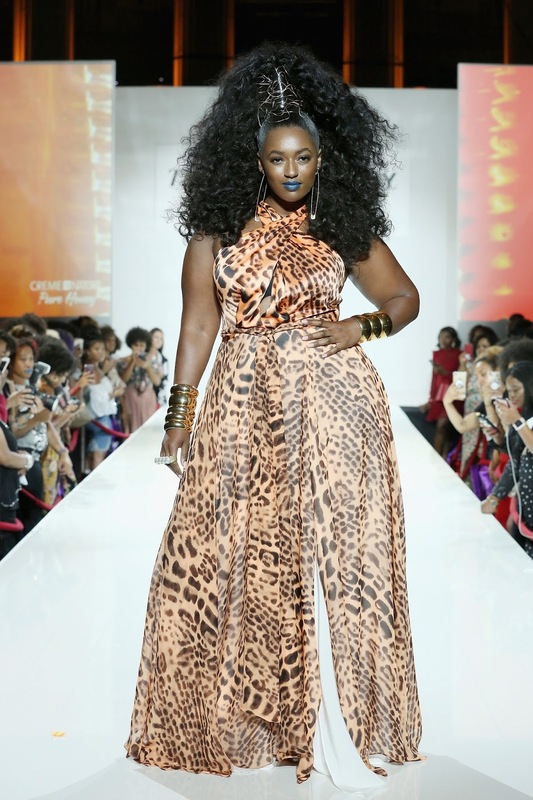 Lead stylist Key Glover created the styles using the Promenade and Honey collection. 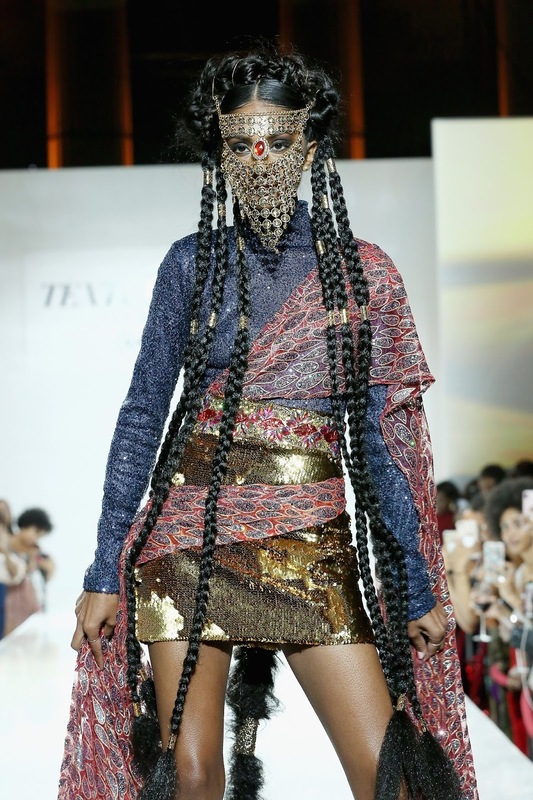 There was also a great symbolic message about competition among women to wear the “crown.” The presentation began with the women fighting over who would possess the crown, with one taking the crown from the another, followed by a segment in which they shared the crown. 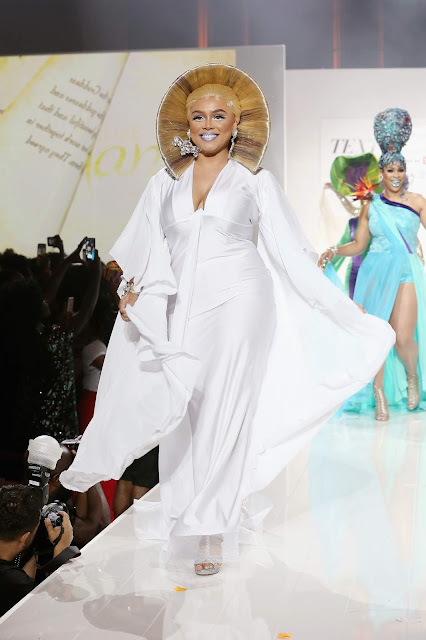 It ended with each queen being presented with her own individual crown. I thought it was a great reminder that we should support one another. 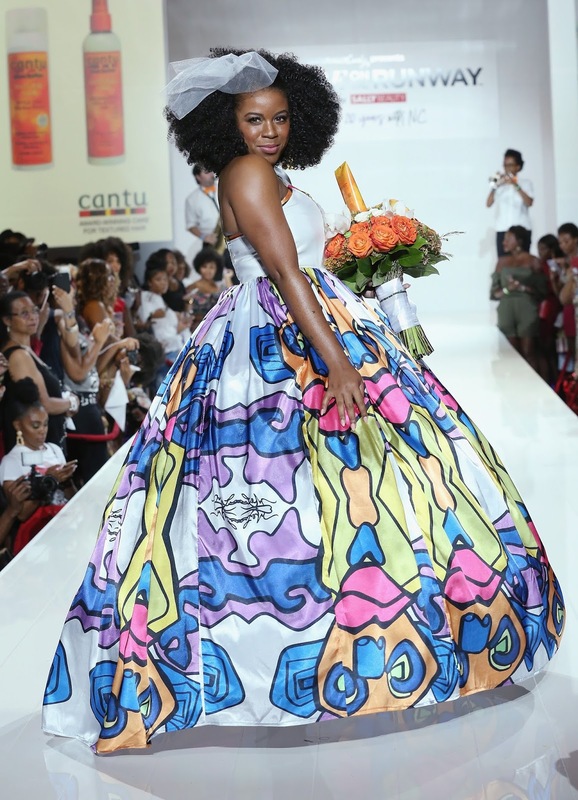 SheaMoisture’s “Celebrating Our Shine” presentation showcased the beauty and versatility of textured hair with styles created using the Jamaican Black Castor Oil Strengthen and Restore Hair Care collection overseen by celebrity stylist and SheaMoisture Textured Hair Ambassador Diane C. Bailey. The show also featured Davina Bennett, Miss Jamaica and SheaMoisture Jamaican Black Castor Oil Brand Ambassador. The Mane Choice runway show featured bold, fun and colorful over-the-top hairstyles. Their goal, they said, was to showcase how their brand is taking strides to empower and offer solutions to all textures.